Many have speculated on its meaning and origin, so I’m here to set the record straight. Most people don’t know about the first Freebord logo, the “Freebord swirl,” that was designed by a friend of Steen’s. Pretty crazy, huh?–but that’s a whole other story. The year was 1997 and Steen Strand had transformed his SF garage into a makeshift production floor and office. Having already maxed out numerous credit cards, Steen was mentally and financially invested in his dream of bringing snowboarding to the streets. Meanwhile, Darrin Marzorati, an ambitious young designer, had just moved to San Francisco. Darrin was working for Chiat\Day while running his own design business called Tha Digital Laundre Mat. The details on how the two met are a little hazy, but I had a chance to ask Darrin a few questions about how it all went down and this is what he had to say. So what is the inspiration behind the logo? The logo was influenced by a snowflake. I thought snowboard, snow, cold, urban, sweet gear, and clothing. While creating many versions of a snowflake… I thought that it’s gotta be looking like the future. Something new, digital… it must be an easy read. Something you see and get it easily! The Freebord urban snowflake. Steen dug it. Sold! How much did you get paid to design it? It’s kinda funny… Steen at that time was low on the flo. Methinks he didn’t have much cash to pay me for the logo. So I told him that I would design it in exchange for a couple Freebord’s. Done deal! I still have them to this day. On behalf of the Freebord community, I want to thank you for creating such an awesome logo. I am honored to see that Freebord is still using the icon / logo that I created for Steen back in the day! Love your stickers or tees too. Lastly… Tell Steen I said Hi. It’s great to see that Freebord has grown worldwide. “Snowboard the Streets!”. BOOM, straight from the horse’s mouth— it’s an urban snowflake. Awesome, timeless design! Nice one, Darrin. 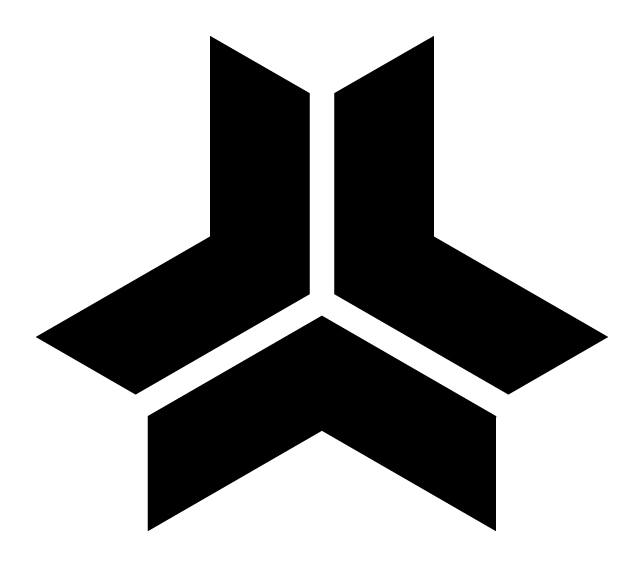 looks like a Jericho logo from Star Conflict.